The San Francisco International South Asian International Film Festival (3rd i for short) is held each year in early November. As Vanessa Hua explained at the San Francisco Chronicle: "The name is a riff on the third eye, a symbol of internal reflection and perception, and Third World cinema, or movies from developing countries." This year's edition—continuing with their expansion into a four-day format—will venue at both The Castro Theatre and the Roxie Film Center. 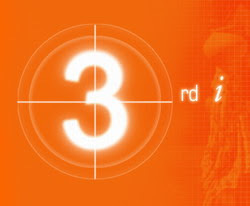 As a non-profit, national organization, 3rd i was founded by Ivan Jaigirdar, Shilpa Mankikar, and Camille Ramani in 2002 to represent filmmakers and audiences from Bangladesh, Bhutan, India, Nepal, The Maldives, Pakistan, Sri Lanka, Tibet, and the South Asian Diaspora. An early interview with Ramani and Jaigirdar for The Indian Express explored the early efforts of the organization, which has continued to support their mission by providing film screenings, filmmaking courses, networking resources, and a distribution channel for the South Asian-American film community and their audiences. I met with Artistic Director Ivan Jagirdar and Administrative Director Anuj Vaidya at ATA for this research interview for Diaspora By the Bay. Along with being Co-Founder and Executive Director of 3rd i South Asian Films, Ivan Jaigirdar is the Artistic director of San Francisco International South Asian Film Festival and the Bollyhood Cafe. 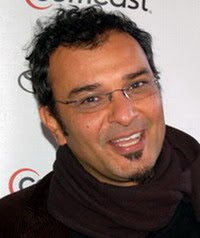 Prior to founding 3rd i, Jaigirdar served as Creative Director and Programmer at Artist Television Access (he is still on the board), and has helped curate programs for numerous festivals including San Francisco International, Asian American Film Festival, Madcat International Women's Film Festival, the Black Film Festival, and NoisePop. Also an accomplished filmmaker, Jaigirdar's work has screened in festivals all over the world. My thanks to Karen Larsen at Larsen Associates for setting up the meeting. Michael Guillén: Ivan, how many years has 3rd i been in operation? Ivan Jagirdar: Prior to becoming a festival we were a monthly screening house. We started about 2000-2001. For two years we did monthly screenings and gradually grew rapidly. In 2003 we decided to become a festival. Guillén: Was there a focus to the monthly screenings? Jagirdar: There wasn't anything specific except that we wanted to get diverse images of South Asia; films about South Asia of South Asians by South Asians. They weren't commercial. They were underground alternative films. 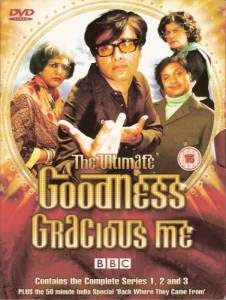 We started off with humor because we knew that attracted people so we showed depictions from British South Asian filmmakers, like Goodness Gracious Me and things like that. Then we went on to queer South Asian representation and then experimental South Asian representation. We try to get a variety of images. Guillén: What prompted that? Did you not feel that the San Francisco International Asian American Film Festival was satisfying the needs of the South Asian community in the Bay Area? Jagirdar: I was on the screening committee for the Asian American Festival, which was then NAATA, now it's CAAM, and really enjoyed that environment; but, yeah, we needed a South Asian festival. It was also at a time when there was a critical mass of South Asians that had appeared in England and I was a part of that. I grew up in England. We were getting a lot of the literature coming over from India and Bangladesh. There was some kind of shift going on in England where there was a cross-pollination going on between literature, music and film. Coming here, we didn't see that shift. So part of what started the monthly screenings was to bring over that sense of that new identity in South Asia and the South Asian diaspora within San Francisco. We found it was so successful. We had chapters in New York, Chicago, L.A. and Washington, D.C. We spread quickly. Guillén: 3rd i is operating in all these locations? Jagirdar: We were. Two years in we realized that was just too much work. We decided to switch to the festival model and focus on San Francisco. It wasn't that CAAM wasn't enough. Our mission initiative was that there were other aspects of South Asian representation we wanted to explore, so—along with this critical mass occurring in England and what we saw happening here—we wanted to take advantage of it. Anuj Vaidya: Also, the idea of Asian or South Asian, they're constructions, right? And so I think in a way when Asian was considered or when that identity came to be, it was imagined as East Asian. That was what the community was at that time. It's only been in the last 10 years or so that this South Asian community has become a more visible presence. Guillén: Do you have a sense of San Francisco's South Asian community? Vaidya: More and more. Especially in the last two-three years, we're seeing a lot more younger South Asians. Jagirdar: It's no longer that first generation. It's second and third generation South Asians. What's interesting is that—when we were here initially—you'd see South Asians but you'd know everyone on the street. Now I don't know anyone and I see so many younger South Asians. It's like they're no longer living in Fremont. They're in San Francisco. Vaidya: I think it's the largest growing minority population in the city of San Francisco. Guillén: But Fremont was the original nexus? Guillén: Just to confirm, you've structured yourself on the nonprofit model and you receive funding from the San Francisco Arts Commission? Jagirdar: That's a wonderful part of the city. It does support so many festivals and supports diversity within the community. Guillén: Ivan, when you were talking about the critical mass occurring in England and the cross-pollination of the arts and film, can you give me some specific examples of how that occurrence was being represented in film? Guillén: You're reminding me that—in her book Impossible Desires: Queer Diasporas and South Asian Public Cultures—Gayatri Gopinath offers a fantastic analysis of Surviving Sabu, which fits within these perspectives. Jagirdar: I love that film! It's one of my favorites. 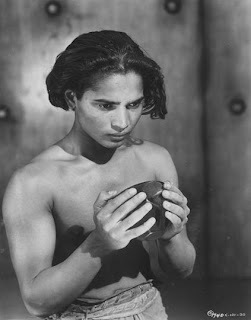 It's a critical look at early representations of South Asians in Hollywood: Sabu in Jungle Book. It shows Sabu as who he was, what he was, his real life and his constructed life in cinema and how he suicided at the end. Surviving Sabu is the narrative of a British Queer South Asian based in England telling that Hollywood story. It's very well-done. Guillén: So I've heard. Please do a revival screening. Jagirdar: It was in one of our early compilations that we showed years ago, within the initiative I was talking about of bringing over that different identity of South Asian. Guillén: Talk to me about how you monitor and acquire diasporic content for your festival. Do you see films at other festivals? Are you part of a network? Jagirdar: We learned as we progressed. For us, there wasn't a network; I didn't see a network. Gradually, step by step, using the Internet a lot, finding out other people we knew in festivals in England, things like that, we learned more each month as we gradually got deeper in the roots of distribution of films abroad, in England and other countries. Also, we worked with CAAM—then NAATA—a lot. I eventually put together the 3rd i International Shorts; but, I started seeing films like Surviving Sabu through being on their screening committee and realizing there was something there to put together, which eventually ended up as the compilation. Vaidya: Now there are so many South Asian film festivals and a lot of Indian film festivals. Some places think that's interchangeable, which is problematic. We track that a lot now and see South Asian film festivals in other countries. There's one in Florence, Italy. One in France. Those places often showcase local talent and so you get to see what kind of South Asian content is coming out of different countries through tracking these different festivals. In the last five years there's been this proliferation of South Asian film festivals. In the U.S., we were the first; but, across the world I'm not sure. Guillén: With there being a proliferation of South Asian film festivals, has that meant that collaboration has been co-opted by competition? Or are you collaborating more with these other festivals? Is there the equivalent of a 3rd i Film Festival in Los Angeles that you can share programming with? Vaidya: There's the Indian Film Festival of L.A., but they only show Indian content and not South Asian. Only about half of our films are from India and the rest are from other South Asian countries. Jagirdar: Collaboration is one of the things we are exploring now more and more. We have started to speak with the people involved with the Indian Film Festival in L.A. and the Indo-American Arts Council in New York. Since we're not in the same region, there's no area of competition and collaboration is possible. There are competitive film festivals that you can see in different regions; but, what's wonderful about San Francisco is that it's so collaborative, such as our work with CAAM. We've worked with CAAM since we've started. Vaidya: There's so much South Asian content now. Last year we felt our festival—which we were running for three days—had to go to four days because we just couldn't decide what to not show. This year, we programmed four days and there's still films left over that we wish we could go to five days. There's a burst of activity from South Asian filmmakers. There's definitely some kind of resurgence going on. Also, in 1991-1992, India started satellite television. Until then, there were only two channels you could get on Indian television. All of a sudden in 1991 Indians had 50 channels to choose from and they were seeing a lot more media from across the world coming into India. We're seeing the effect of that in this gestation period that's then resulted in all these new ideas giving birth to new media. Jagirdar: To add to which, India always had the biggest film industry in the world, bigger than Hollywood, so it stands to reason that there's already tons of films coming out of there in every way, from art movies to more commercial movies. The industry's expanded. I heard a comment once where Americans are raised on the three Rs—reading, 'riting and 'rithmetic—whereas, Indians and South Asians are raised on the three Cs—cricket, curry and cinema. 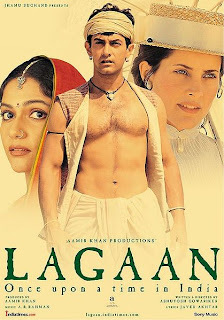 Guillén: That's why Lagaan hit so well when it did; it had all three. I would argue Lagaan was the turning point in America's exposure to and acceptance of Bollywood film. Just to be clear—because I suddenly realize we're operating off of certain presumptions here—when we're talking about South Asian representation in cinema, which countries are you talking about? Vaidya: It varies. I don't think there's a definite answer. I mean, we're definitely talking India, Pakistan, Bangladesh, Nepal, Sri Lanka, Tibet, Bhutan, Maldives. There are all these countries on the edges that have had longstanding cultural continuity with South Asia but aren't necessarily considered South Asia. Guillén: Would Malaysia be in that group? Vaidya: No, that's Southeast Asia. Guillén: Oh my gosh, is there a Southeast Asian Festival?! Jagirdar: But CAAM covers a lot of Southeast Asia. Vaidya: They cover Vietnam and Thailand and the Philippines, that entire region. Jagirdar: That's one of the differences we have with CAAM; we're more South Asia. They're all of Asia but we focus specifically on South Asia. Guillén: In terms of South Asian diasporic representation, are there any South Asian American filmmakers that you're starting to profile? Jagirdar: I would say that's the biggest change we've noticed. When we were first starting 3rd i, we would go after British films because they were so much more interesting and had depth into the social content and commentary of all sorts. 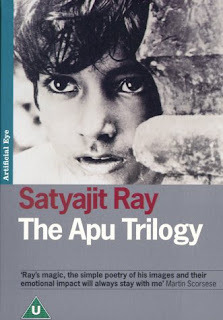 The few South Asian American films that came out were, by contrast, superficial to tell you the truth, made by people who had made money during the dot.com boom and had millions to spare and said, "Let's make a film." Vaidya: It's changed a lot in the last two or three years. There are a lot of younger filmmakers who have gone to film school or art school and are coming out and making films. But in the beginning, like 10 years ago, it was just a lot of people who had made a lot of money and decided to quit everything and go make films because that was what they dreamed about. Guillén: Are you saying that—without much more incentive than that—their films were formulaic Hollywood rip-offs? Vaidya: It was a lot of identity politics and cultural tensions but in a simplistic way. They weren't nuanced. They were like TV after school specials working out their own cultural conflicts. Though one film that came out early—and it speaks to this—by a filmmaker named Nagesh Kukonoor was called Hyderabad Blues (1998) and is about a guy who goes back to India after working in the Silicon Valley. It depicts the tensions of his going back to India after having lived here for a while and it's a brilliant film, low-budget. So Kukonoor is an example of a person who quit his Silicon Valley job to make films and he's one filmmaker who has actually continued to make films to this day. I think he's moved back to India for good. Jagirdar: If we're using Surviving Sabu as an example of what we think is a layered film with social content and interesting well-done cinematography, acting, everything, then yeah, I think it's taken a long time for South Asian American filmmakers to get there; but, it's happening. Guillén: Has the diasporic experience—as rendered through South Asian filmmakers in England and the U.S.—deepened South Asian film? Jagirdar: I don't know if it's deepened it. There's just a different conversation going on. Vaidya: Right. I feel that it's less about fresh-off-the-boat issues. When you first come into a culture, there's the shock and dealing with that; but, in a way, it has deepened the filmmaking because it's more about conversations with the culture you're in, as opposed to being in conflict with it all the time. Jagirdar: One of the aspects of being in Britain was that there was a genuine conflict, there was a lot of racism going on, and there was a reaction to that. Whereas I find in South Asian Americans, the issues weren't about racism as much as about the process of exotifying South Asians in America. It was a different form of racism, perhaps kinder and gentler, but it definitely switched post-9/11. Especially in the Sikh community, racism was felt heavily in terms of standing out with turbans. A lot of films got made out of that post-9/11 environment of South Asians and specifically of the Punjabi community. Guillén: I imagine it became more pressing to be accurately represented? Guillén: By pooling resources and collaborating with other West Coast South Asian and Indian film festivals, do you feel you could accomplish more towards the spectacular dimension of a film festival? Attracting more talent, let's say? Jagirdar: Your question is right on track. That's exactly what we're aiming at. Vaidya: We've only had local guests, because that's easy, but otherwise we've had very few guests at our festival. Jagirdar: Our focus was never the spectacular to begin with. We just wanted to bring the films. Plus we didn't have the budget for it. Now that we've developed the budget, we recognize the need to bring that spectacular dimension into the festival to create more attention but also to widen the festival. Guillén: But in all fairness, sometimes the film is spectacular enough. For example, your screening this last year of Om Shanti Om in the Castro Theatre was one of the most thrilling in-cinema experiences I've ever had. I've never seen an audience react like that. During that final musical sequence when all of Bollywood's best and brightest make an entrance, the audience screamed each time a new star appeared. I mean, I didn't even know who these people were and I was screaming, I was so excited! Jagirdar: [Laughs.] That's the wonderful part about 3rd i. We go for underground alternative films but we also go for one great Bollywood film a year and we take our time to pick it. An audience at the Castro Theatre when it's packed is 1,500 and they laugh where they're supposed to laugh and then they laugh when they're not even supposed to laugh. It's a party in a sense and it's something we all celebrate. Guillén: You usually sell out the Castro on Bollywood night during 3rd i. How is your outreach accomplished? Once you've lined up your films with diasporic content, how then do you find the audience to fit them? Again, do you have a community outreach network you utilize? Do you work through consulates? How do you spread the word? Vaidya: Press obviously helps a lot. Until last year, we didn't have a publicist. Ivan basically did all the publicity, sending out press releases. Last year was the first year we worked with Karen Larsen. Guillén: What do you think of Karen Larsen? Vaidya: She's hooked in. That's a good thing but it has its down side because she's everybody's publicist and we're competing for her services. But she's really great. Last year we got so many little things that we didn't even know about. Working with her has opened up a lot of doors for us. Jagirdar: Working with Larsen Associates took us to another level. Her network is amazing and she's always been so supportive of 3rd i.
Vaidya: But Larsen Associates is only one of our community outreach resources. We work with about 40 different social service organizations, cultural organizations, other film festivals, community-based organizations. We look at a film and make a list of its different content areas, who might be interested in coming to the film, and we try to find organizations that might fit that profile and ask them to co-present, which means they will send notice out on their mailing list and announce it on their website. It takes a lot of work. Guillén: My understanding that—when the budget allows—community outreach is a job title for a specific person. Vaidya: I used to be community outreach for Pacific Film Archive's curatorial programs for a year and a half. Jagirdar: We also try to get films for specific communities so that we represent as many communities as we can. For example, we'll try to get a Sri Lankan film each year if we can even though it's always hard to get one. Either that, or we'll try to get a Bengali film or a South Indian film. We really work on that. So then when we get the film, we'll ask the community to support the film as well. One of the approaches we had at the beginning when we first started was to have the monthly screenings so that we built up our name recognition and got people interested in us throughout the year. That's what we're bringing back—and Anuj is really working that at the moment—in terms of our monthly screenings becoming as vital and a part of our publicity towards the film festival. Vaidya: Our mailing list has about 8,000 names on it, which is big. But in the last few years we haven't done as many monthly screenings so the vitality of that mailing list has lost a little bit. Even though we have 8,000 names, a lot of those people have probably moved away from the Bay Area or things like that. So what we're trying to do is make our mailing list a lot more current by having year round programming that can then feed into the festival. Guillén: Speaking of your reliance on press to spread the word, can we speak about your festival's interaction with journalists? Do you tier press? Guillén: Since you're just beginning to shape a spectacular dimension to your festival, you aren't yet concerned about red carpet privileges? Jagirdar: No. But that's actually an interesting topic about how film festivals as a whole support that hierarchical perspective. That's specifically something we've stayed away from. We try to keep our festival as egalitarian as we can, which is precisely why we've shied away from the spectacular. We're trying to mediate those two. Vaidya: The guests that we invite to our festival aren't superstars. They're emerging filmmakers who no one's heard of. So our invited guests are not so much about adding a spectacular dimension to the festival as having audiences engage with filmmakers. That's a very important part of a film festival: learning how a film is made and the artistic process, engaging with that. Guillén: Your focus is more educational? Jagirdar: The filmmakers have given us feedback. Last year, all the filmmakers were saying—and maybe they're just saying it to us or everybody else that they meet—but they were saying that ours was their favorite film festival to attend because our focus is on the filmmakers. We bring them over and give them special attention, whereas at other festivals it's all about the parties and who are the richest people at the parties. Guillén: We won't name names. [Laughs.] Though I remain interested in what the potential value is in tiering press, I haven't heard a satisfactory answer yet. Jagirdar: There is a culture of hierarchy in film festivals as a whole, not only with press and with who gets what pass. Vaidya: A large part of it stems from sponsorship, right? Tiering might be a replication of something that works for those goals but doesn't necessarily work towards press goals. There's a need to give sponsors something that makes them feel special, so you have a VIP reception for them or something. Jagirdar: We're a small festival in any case. We don't even cater to that. Vaidya: In some ways we don't want to grow any bigger than we already are because we can manage it at this grass roots level. Growing any bigger would mean we'd have to sell our souls to a certain extent. Guillén: In other words, you're telling me you are committed to being a community-based film festival? Jagirdar: Right. We don't want to go into the hierarchical realm right now. Guillén: Would participating in such a hierarchy draw away from what you're trying to accomplish in exhibiting diasporic content and address? Jagirdar: That's actually been a complaint of people who want us to go for the spectacular, especially recently. We could go in that direction—we would get a lot of funding—but, it would come with a lot of compromise. I'm glad you bring up the topic of press tiering because I'm interested in that myself. It speaks to a class system. Guillén: Do you work with any of the consulates to advance your festival? Jagirdar: Yeah, we work with the Indian Consulate, the German Consulate, and the French Consulate, to name a few. Guillén: What do they provide for you? Jagirdar: Outreach. Sometimes they help in other ways but outreach is the main thing. Vaidya: The Indian Consulate helps us by being a conduit into the Ministry of External Affairs in India, or the National Film Archive. If we need a print from there, we get it through the consulate who brings it over through diplomatic bags, in terms of shipping. The German Consulate has done that for us as well in the past. We get help in many different ways. It varies. Guillén: Do you think audiences are becoming more literate about film and, thus, want more from their in-cinema experience? Has this necessitated the value added component of film festivals? Jagirdar: Literate about popular films in certain ways—let's say by TV analysis…. Guillén: And yet they've been receptive to your bringing in local filmmakers to have a dialogue with the audience. Jagirdar: Oh, you mean our audience? 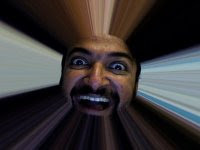 Jagirdar: Not to differentiate, but I thought you meant North American audiences as a whole…. Jagirdar: The fact is we've been bringing in—not only local—but national and international filmmakers; but, we've started a discussion series. We also have classes like "Bollywood 101" and "Queer Eye for 3rd i." We had an "Experimental i" where we compared eastern and western perspectives on experimental cinema from India. Our classes are not seen as a way to educate as much as they are a way for all of us to learn about these cinemas together. We bring in academics and filmmakers to discuss their particular part of cinema. Vaidya: For example, our silent film program—Snakes, Sirens and Vamps—is part of that. Anupama Kapse will be giving a lecture that leads you through the history with film clips. That's the format we like to use: a speaker who illustrates their talk with clips from these films. Jagirdar: We also just had 3rd i's Green Eye on environmental film. That was a wonderful event. We showed a film about urban farms in people's back gardens and we had a screening of Dirt before that was even released. We had Raj Patel, author of Stuffed and Starved. He was fantastic. He was so funny. Vaidya: He was a stand-up comic intellectual. Jagirdar: Everyone was laughing and learning at the same time. It was the best thing because if you open up, you pick up. 3rd i Green Eye was a whole day event and packed all the way through. Guillén: Speaking of added value to the festival experience, how about open air screenings? Is that anything you folks hope to do? Vaidya: Yeah. Ivan told me Sita Sings the Blues was playing in the park and that might be the way to do it: to partner with the City. To free two birds with one stone by getting our name out and having a fun event. Jagirdar: Your suggestion is right on target. We've been thinking about it but haven't taken the initiative. Guillén: Can we talk a little bit about your upcoming 3rd i film festival in the fall? Anuj told me earlier that you pretty much have it locked down except for the revival screening? Will the festival once again be venued at the Castro Theatre? Vaidya: Two days at the Roxie. Two days at the Castro. Guillén: And you were saying the festival has expanded to four days? Vaidya: Last year we went to four days. Two days at the Brava and two days at the Castro. That's what we'd like to do in the future. We'd like to do the Castro and the Brava. Jagirdar: Just to add to that, we like to support the independent theaters in San Francisco and that's part of it. It's important to steer people towards those independent theaters like the Roxie, the Brava, and the Castro. That's where we like to screen our festival. Guillén: Returning to the theme of collaboration with Bay Area film festivals, who are you working with? Jagirdar: We love working with CAAM. In some ways we came out of CAAM, you know. We meet regularly to discuss ways to work with each other. Vaidya: We've been talking to them about possibly joining in on distribution initiatives. Guillén: Since some of the countries that border South Asia are technically Mideastern, have you collaborated at all with, let's say, the Arab Film Festival? Jagirdar: We haven't explored that much. What's interesting is that the 3rd i in New York—because there's still a 3rd i New York and it's a pretty big film festival—they work with the Arab Film Festival and have created the joint South Asian Arab Film Festival. Here, we've discussed it. Actually, one of my closest friends was the director of the Arab Film Festival a couple of years ago. They're much bigger than us in some ways and they go over several days; but, we have done co-presentations with them. Guillén: How about distributors? Do you work with them at all to create buzz for your festival? Jagirdar: We haven't really, though we have a little bit. Slumdog Millionaire was one of those collaborations. That was a good way to begin the spectacular. 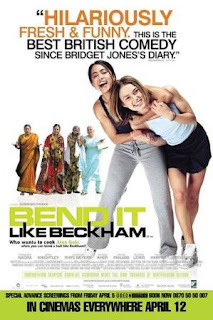 We've done others with co-presentations, like Bend It Like Beckham with CAAM. The year before we did Loins of Punjab, which for us was spectacular. Guillén: So when you worked with the distributor for Slumdog Millionaire—and we need to at least mention Slumdog Millionaire because it proved to be such a benchmark film this year—did they send any talent? Did they provide a cost reduction in the print rental? Anything like that? Jagirdar: No, they were just very generous and someone did come. It was good to work with them actually. Vaidya: The collaboration that we're thinking of in terms of fundraising and things like that has less to do with other film festivals and more to do with other community-based organizations. Expanding the purview of who we collaborate with. Jagirdar: We've collaborated with the Jewish Film Festival, maybe twice, and hopefully in the future. Vaidya: Last year at their film festival, we co-presented In Search of the Bene Israel, which was about the Jewish community in India. Our collaborations have been mainly co-presentations. Guillén: So 3rd i—by scheduling a Bollywood night and a revival screening—is providing a temporal spectrum to your programming? Vaidya: Yes. Our opening night is usually a focus on a local filmmaker. We're trying to shape our closing night to be more of a big event. Jagirdar: Our decision to focus on local talent for the opening night of our festival is unusual. We've been having local filmmakers for the last couple of years but now we're adding some performance within that. Vaidya: It's going to be neo-Benshi this year. Guillén: Ivan, talk to me about Bollyhood Café, which I understand you run. Jagirdar: Bollyhood Café was an extension of 3rd i in some indirect way. It was a physical space to do more South Asian-related art, theater, film, dance and partying. I hadn't seen a community space for South Asians in San Francisco like other communities had community spaces. That's what it was meant for, though that's not what it became. Now it's just more of a club space. I'm less involved with it now. Vaidya: She is one of our champions. We love Frako. Jagirdar: I was on the screening committee at CAAM with Frako for something like eight years and—each time something would come out of Frako's mouth—I'd make a note. Quite an inormative piece. I liked it. Frankly, I never heard of 3rd i before. It's good to know it's doing such a great job of taking India abroad. Thanks for stopping by to comment, Debarth. (Great website, by the way!) Glad to know I've turned you on to 3rd i, whose efforts truly are noteworthy in spreading the word on Indian, amongst South Asian, film.